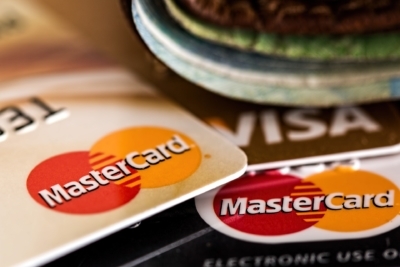 Is a Secured Business Credit Card Right for You? For business owners, one of the major reasons to have a business credit card is to keep your business and personal expenses separate. This allows you to track your business spending while providing financial flexibility. Since business credit cards offer a revolving line of credit, they can be used at a moment’s notice to cover unforeseen expenses, or to make a specific business purchase, or to cover bills when cash is tight and you’re waiting for incoming checks. When it comes to applying for a business credit card you will be required to furnish your company’s employer identification number on the application. The majority of card issuers will also require a personal credit check and personal guarantor. Remember, your business will need to establish its own business credit report, separate from your personal credit, to be in a position to get credit on its own. Until then, expect for card issuers to check your personal credit. If you have fair or bad personal credit, most likely you will get denied for an unsecured business credit card. So, what can you do if a bank card issuer denies your business credit card application? The good news is banks are assisting businesses who need to build credit. They offer a secured business credit card as an option. A secured business credit card can help you establish good financial habits plus help improve your business credit report and rating. A secured business credit card may be your best option to help you separate your personal and business expenses. It would also establish business credit in your company’s name. It’s much easier to qualify because it requires a security-deposit upon approval. With a secured business credit card, you can build up credit for a startup. Or you could re-build credit for an established business. Typically, the credit limit is equal to the amount of the security deposit which can range from $500 or more. Similar to traditional credit cards, secured business credit cards can have high interest rates. They also come with additional fees, such as late-payment fees, annual fees and returned-check fees. If you default on a secured business credit card, the bank can seize your security deposit. Secured business credit cards are not known for the best rates and rewards. However, they do provide a stepping stone for qualifying for an unsecured business credit card in the future. As long as you maintain a positive payment history over time and use the card responsibly you should be able to graduate to an unsecured card for the business. Some banks will automatically convert your account to an unsecured business card once you’ve established a positive payment history. It’s important to use your secured business credit card the same way you would as a personal credit card. Make all your payments on time and try not to carry a balance. Also, keep your credit utilization at or below 10% for maximum impact. A secured business credit card may be a great option for a business owner looking to build or reestablish their business credit. Whether challenged with thin or bad personal credit history, don’t ignore the importance of a business credit card. Many business owners who have been turned down for an unsecured business credit card can qualify for a secured business credit card. Start separating your business and personal expenses so you can make it easier during tax time.